SIMBA Chain: Blockchain’s Next Blockbuster? 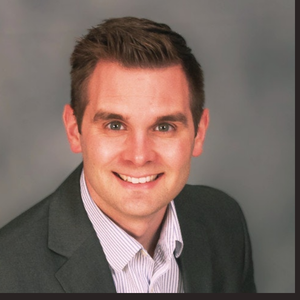 VisionTech Angels’ Executive Director Ben Pidgeon recently sat down with Joel Neidig, CEO of SIMBA Chain, to learn more about his company, how it’s disrupting the block chain space and the opportunity that will be presented to our angel investors during October Pitch Week. This is our first pitch company with Notre Dame ties and it’s an impressive one at that. Read on! BP: We’ve had other pitch companies with university ties, but never one from Notre Dame. What’s the connection? JN: When you think Notre Dame, you probably think football, but a growing number of people are recognizing the robust tech transfer opportunities in South Bend. In 2017, I licensed technology from Notre Dame that resulted in a 3D metal printing software company called Atlas 3D. That company is doing really well so we went back to Notre Dame’s Center for Research Computing and licensed the blockchain technology platform that is the core of SIMBA Chain, our new venture in the blockchain space. 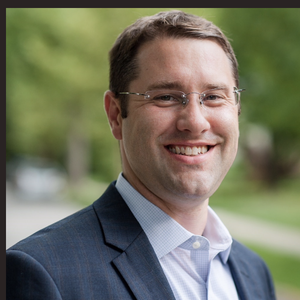 SIMBA Chain was founded and incorporated in 2017 by co-founders Jarek Nabrzyski, director of Notre Dame’s Center for Research Computing, Ian Taylor, a Notre Dame research professor and computational scientist; Gary Neidig; and me. The technology platform was originally developed for DARPA, the U.S. Defense Advanced Research Projects Agency, which awarded a grant to the Center and ITAMCO to develop a secure, unhackable messaging and transaction platform for the U.S. military. BP: Block chain is a hot technology space. What is SIMBA Chain’s play? 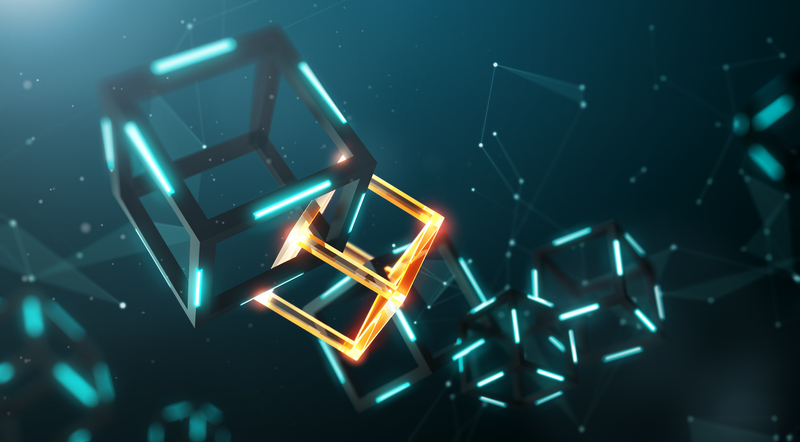 JN: Blockchain is best known for underpinning cyber currencies like Bitcoin, but other industries like manufacturing supply chains, health care, energy/smart grids, music licensing, law and government, offer significant opportunities for leveraging blockchain. Up until now, developing blockchains has been very expensive and complex; developers typically have to know multiple languages to code. SIMBA Chain is disrupting the space by offering developers and business and government enterprises a cloud-based, blockchain-as-a-service (BaaS) platform that enables users with even minimal technical skill sets to easily and affordably create and implement dapps (decentralized applications) for specific user bases. To put it simply, SIMBA Chain is to blockchains as WordPress is the website development world. BP: Why do you think users, including those less familiar with blockchains, will be excited about what you’re doing? JN: Blockchains enable secure, direct connections between users and providers. For example, a hospital and its patients, a financial institution and loan holders. Users and providers share resources – they are linked together in a “chain.” This has distinct advantages. First, a blockchain is decentralized; there is no central data server or “middle man” controlling the flow of data and transactions. Eliminating the central hub also means there’s no longer a single point of failure in the event of hacking or other cyber threat. The blockchain can’t be altered; once a transaction is verified, it’s combined with others to create a new block. The data is very secure, and less subject to cyber threats, which makes blockchains attractive for any industry handling sensitive personal, financial, or mission critical data subject to cyber threats. What’s exciting about SIMBA Chain is we’re making blockchain technology accessible in terms of development, cost, speed, and security to those who want to deploy it. We eliminate third parties so users and providers connect more efficiently, have more control over the relationship and a lower transaction cost. Our platform is also very flexible and user friendly. Users choose their network, file storage, create their smart contract, and they’re ready to deploy their dapp. BP: In addition to DARPA, Notre Dame and ITAMCO, you have an impressive list of partners. JN: We sure do. When Microsoft, NavAir, and the U.S. Department of Energy came on board, we knew we had something. SIMBA Chain is also a “Partner of Choice” of the Government Blockchain Association, which is instant credibility among government enterprises, and has partnered with BlockGeek, which has 100,000 members who are developers. BP: You have a very active pipeline. Tell us about it. JN: We are actively recruiting developers on our website and the response is great; developers are the early adopters. Our enterprise client list is strong and includes Dow, HealthSpace and EY, which is remarketing to their clients. We’re in discussions with other recognizable enterprises, both corporate and government. Currently, we have more than $1 million in revenue on the books. BP: What is your revenue model? JN: Very simple. Like SaaS, our revenue model is subscriptions for developers with the cost based on the number of transactions per month. For business and government enterprises, we offer custom engagements. BP: What’s your goal for VisionTech Angels Pitch Week, October 22-25? JN: Getting in that car with you and touring Indiana! (Laughs) Pitch Week is a great opportunity to tell our story, answer questions, and ultimately, move us closer to closing a $2 million investment round. While in its infancy, the blockchain industry is moving quickly and we need to finalize our go-to-market strategy, make key hires and assemble what will be a massive team of developers. SIMBA Chain represents a great opportunity to get in on the ground floor of what is projected to be a $2.3 billion industry by 2021. 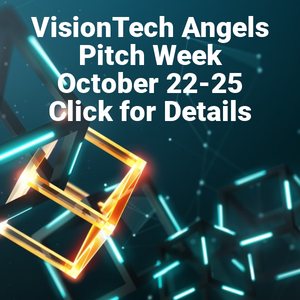 VisionTech Angels October Pitch Week is open to our members and their guests. If you are an accredited investor and would like to attend, please contact Ben Pidgeon at bpidgeon@visiontech-partners.com.